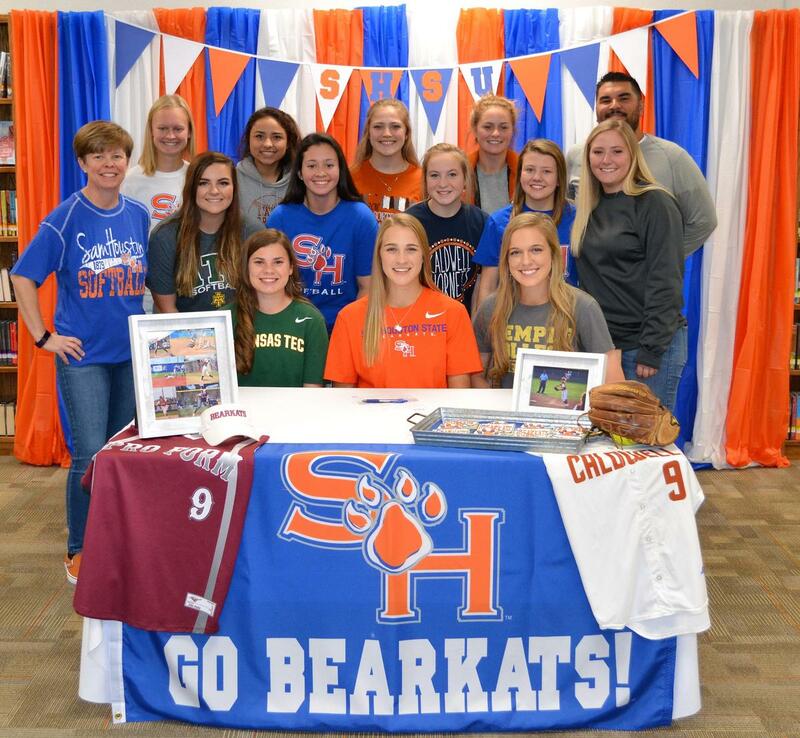 November 14, 2018, National Signing Day was a great day for three Lady Hornet Softball players. Center fielder Daeghan Drgac signed a letter of intent to play college softball at Temple college, second baseman Alexia Perkkio signed to play college softball at Arkansas Tech, and shortstop. Emily Telg signed to play college softball at Sam Houston State University. All three ladies have been an integral part to the success the Lady Hornets softball team has seen the past three years. Each has been a varsity starter since their freshman year and were key components on the 2016 Regional Finalist team as freshman as well as area finalist team in 2017, and have been named to all-district teams all three years so far. Coach Weiss, stated, "Not only do these ladies excel on the softball field, but they also excel in the classroom which speaks volumes for the hard work and dedication they each have in whatever it is they do." They will all three be key leaders on the softball field for the Lady Hornets in their senior season where they are hoping for great things. Congrats to all three ladies and their families and Sting’em!